A community of history along the Atlantic Coast of Florida, St. Augustine is also a place for family fun. Enjoy the comfort of St. Augustine vacation rentals and the family can have an action-packed experience during your vacation getaway. History, dining, water activities, and recreation are all part of the St. Augustine experience, everything that makes for a fulfilling family vacation to keep everyone entertained and satisfied. St. Augustine rentals are also within driving distance to many north and central Florida attractions including Disneyworld. St. Augustine's attractions date back to colonial times and to the exploration of the area by Ponce de Leon in the 1500s. The city's oldest man-made structure, Castille de San Marcos, can be toured and explored as part of an intriguing family adventure. Fort Matanzas National Monument and Fort Menendez offer more insight into the past as well. Stroll the Colonial Spanish Quarter or the Dow Museum of Historic Houses, and even get a glimpse of the Fountain of Youth to experience the Spanish history that defines this city. St. Augustine condo rentals are conveniently located near many historical walks, so a family walking tour of the town is stress-free. St. Augustine condo rentals are also conveniently close to the beach, so you can pack some lunch up and head out for a day on the sand and swim in the warm waters of the Atlantic Ocean. Time outdoors in the Florida sun is always delightful, and the entire family can relax on the beach while the kids play in the sand. Another popular watery adventure here is paddleboarding along the Intracoastal Waterway. Hiking and biking trails are also nearby for exploration and physical exercise, but if the kids want to be entertained there are miniature golf courses for some family fun. A Florida vacation can include so many activities, and St. Augustine has its share of shopping, dining, arts, and nightlife. 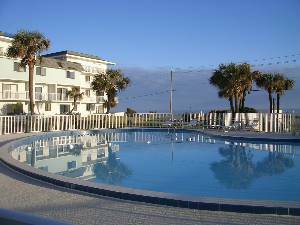 You'll find it a very different vacation experience when you stay at St. Augustine vacation rentals, which are often the more affordable option to a hotel or motel room, not to mention more convenient. Wake up and feel relaxed and it is much easier to plan your day of activities and fun. There is much to see and experience in St. Augustine and you can remember it as the enjoyable and relaxing time that it really is when you stay at St. Augustine rentals. Make your next family trip to St. Augustine a memorable one by staying at St. Augustine condo rentals. You'll find affordable accommodations to luxurious spaces that define a pleasurable vacation experience for the whole family. The fun adventures that await in Florida are one step closer when you book St. Augustine rentals with an owner early, because there is nothing like having a relaxing getaway from a busy life at home. Experiencing the history and culture of a city like St. Augustine adds a new dimension as well. Check out nearby Daytona Beach , Daytona Beach Shores , Flagler Beach , Ocala , Ormond Beach , Palm Coast , Ponte Vedra Beach , St Augustine Beach .